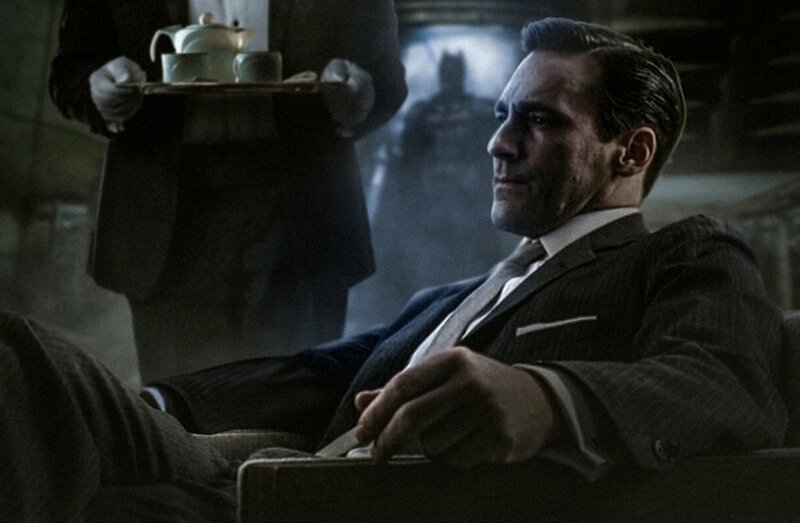 Jon Hamm’s become one of the internet’s top picks to replace Ben Affleck as Batman in the DC movie universe. The best part is that the Mad Men star’s a confessed fan of the Dark Knight and has said on several occasions now that he’d be interested in donning the cowl in the future. This weekend, Hamm attended New York Comic Con as part of the panel for Amazon’s Good Omens, the supernatural comedy-drama from Neil Gaiman in which he plays the angel Gabriel alongside an all-star cast including Michael Sheen as the angel Aziraphale and David Tennant as the demon Crowley. Despite Hamm’s enthusiasm for portraying the Caped Crusader, nothing official’s come through as yet, with the actor himself even saying he’s never talked with Warner Bros. about it. In fact, reports tell us that director Matt Reeves is looking to cast a much younger Batman in his upcoming effort. But hey, maybe he’ll change his mind when he realizes the fan support for Bat-Hamm.